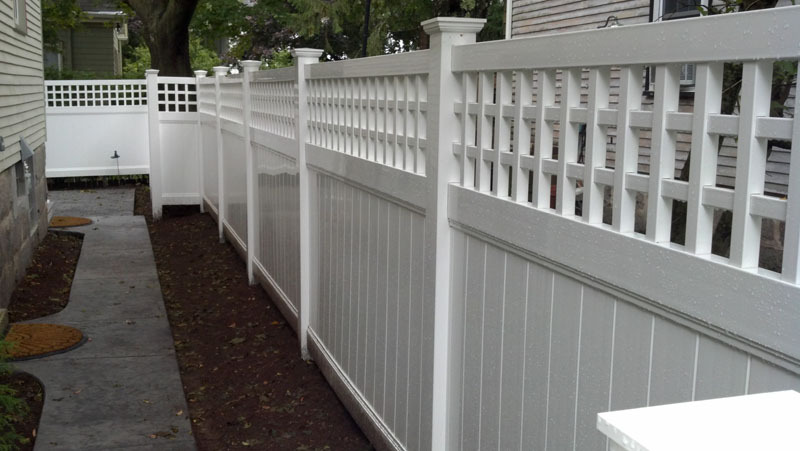 Long-lasting, maintenance-free custom vinyl fencing is a popular choice for homeowners in South East Massachusetts. 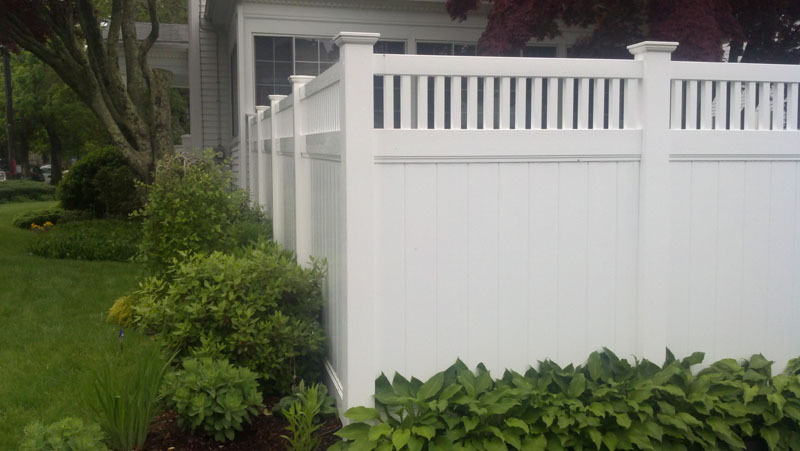 First impressions are very important, and quality fencing is consistently named as one of the top home improvements that attract prospective buyers, according to both appraisers and real estate specialists. 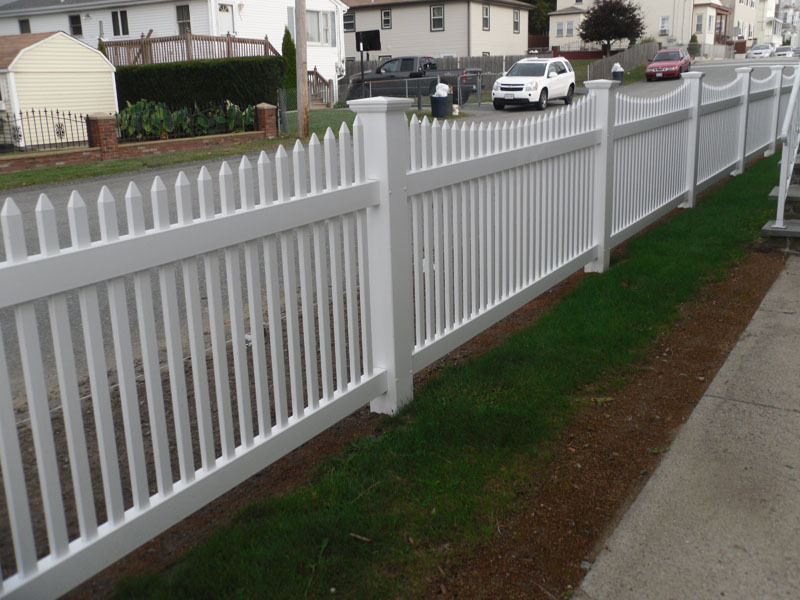 South East Fence can help you upgrade your residential or commercial fencing to one of our custom vinyl fencing solutions to enhance the appearance and functionality of any property. 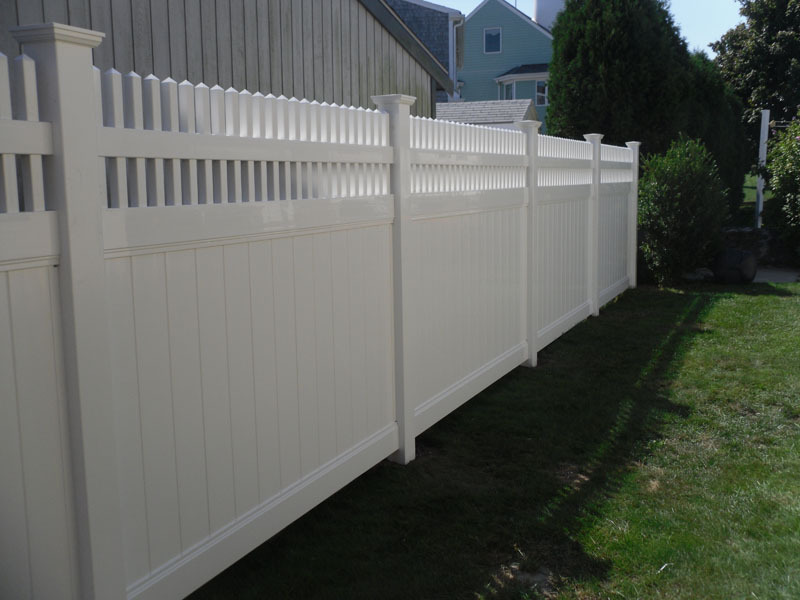 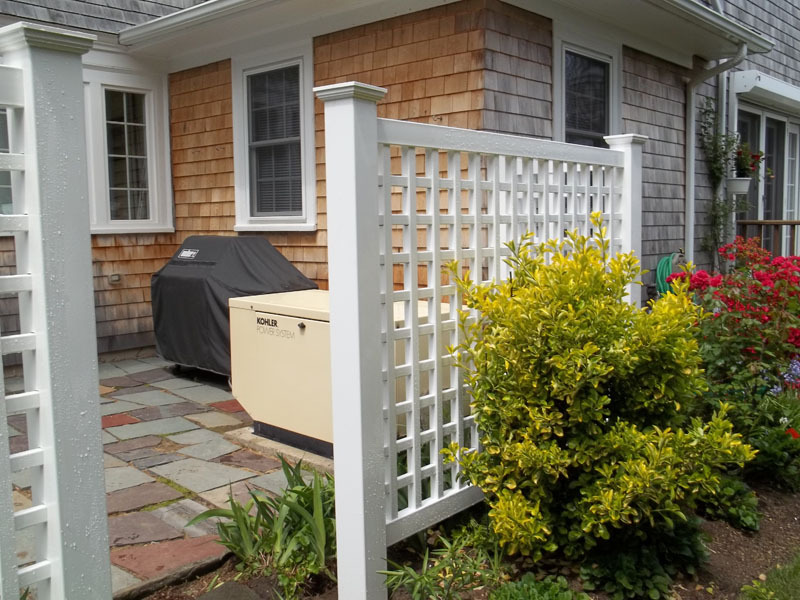 For maximum privacy and minimal maintenance, vinyl privacy fence is an excellent choice for your New England home. 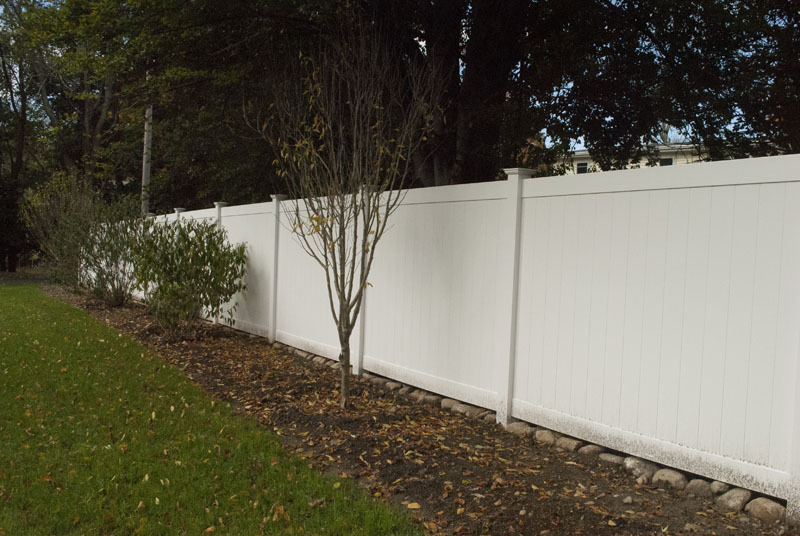 Used to surround a property, a pool or patio, our vinyl fencing options provide homeowners with privacy, protection and peace of mind. 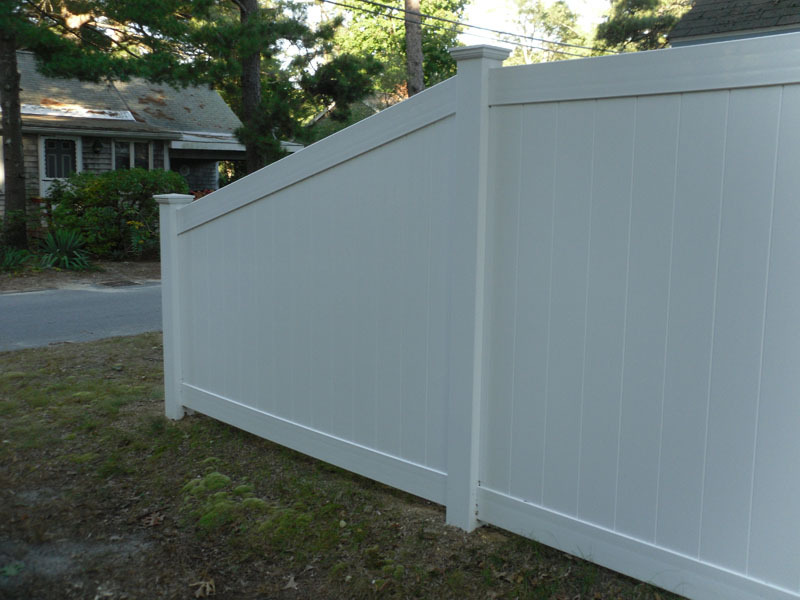 All of our vinyl fencing comes with tongue and groove boards. 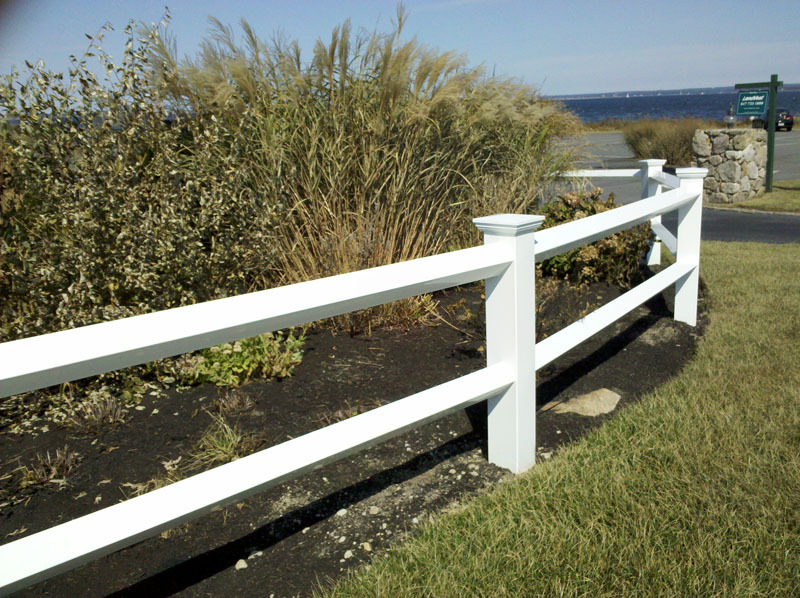 All styles come with an aluminum insert in the bottom rail. 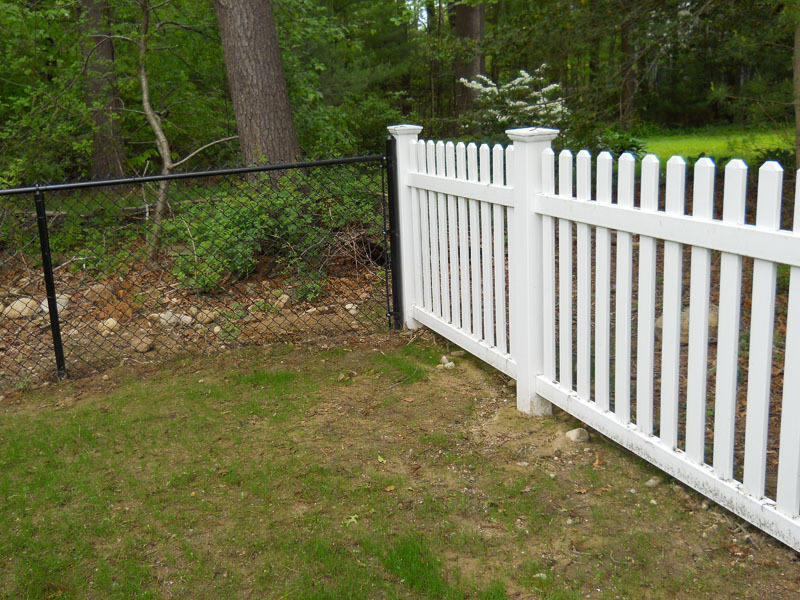 South East Fence can build any style of fencing. 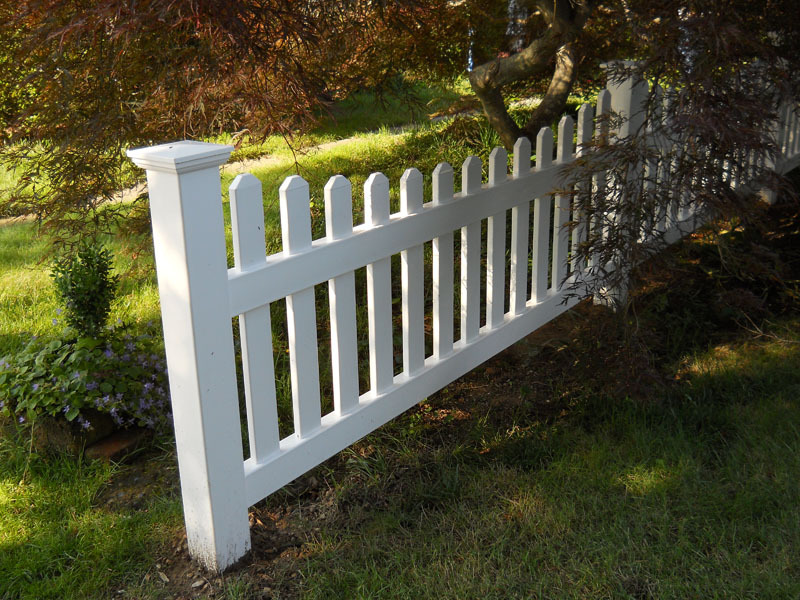 For beautiful, clean property lines, consider our vinyl traditional picket fencing. 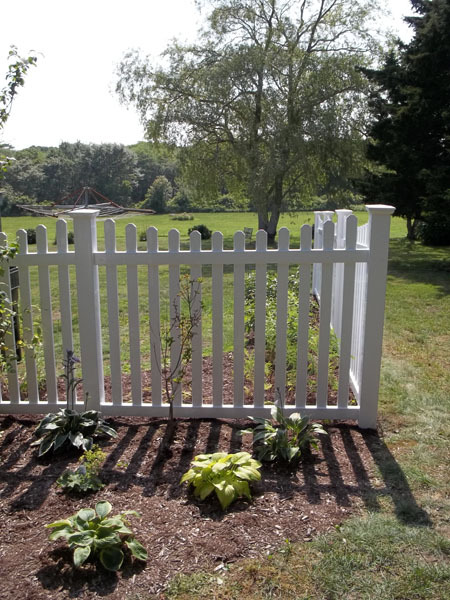 There are few outdoor living space improvements that can add so much elegance as a traditional picket fencing. 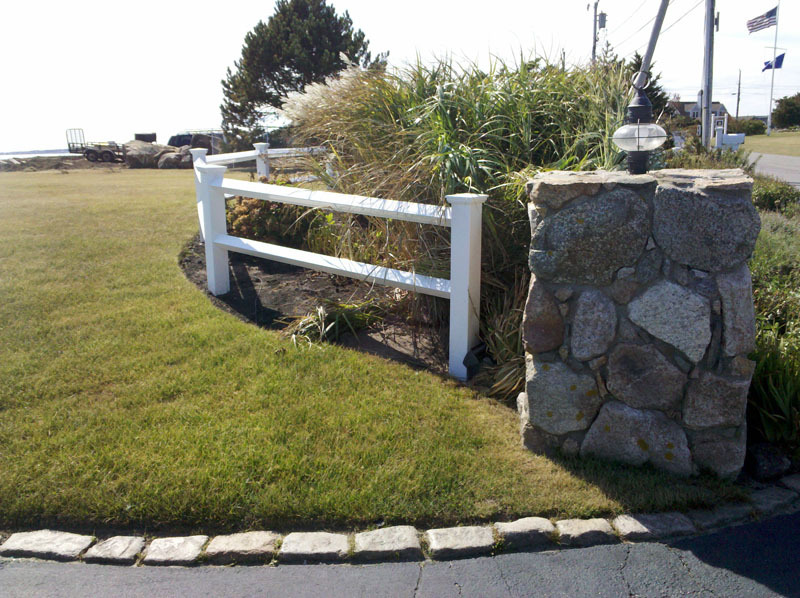 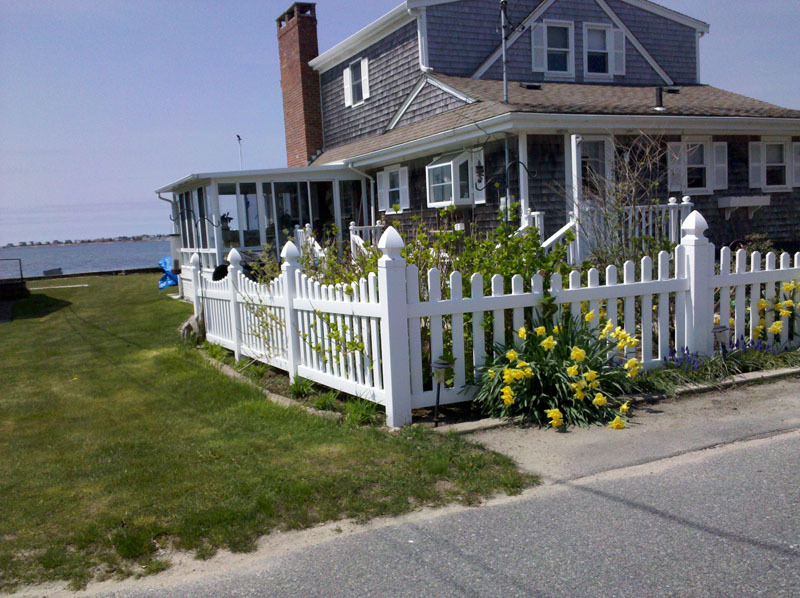 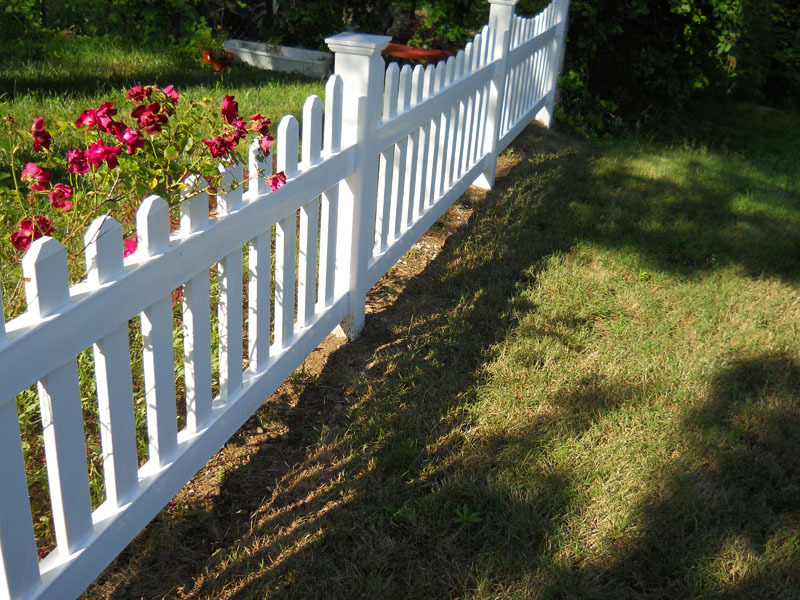 The classic look and feel of this charming fence will complement just about any style of home. 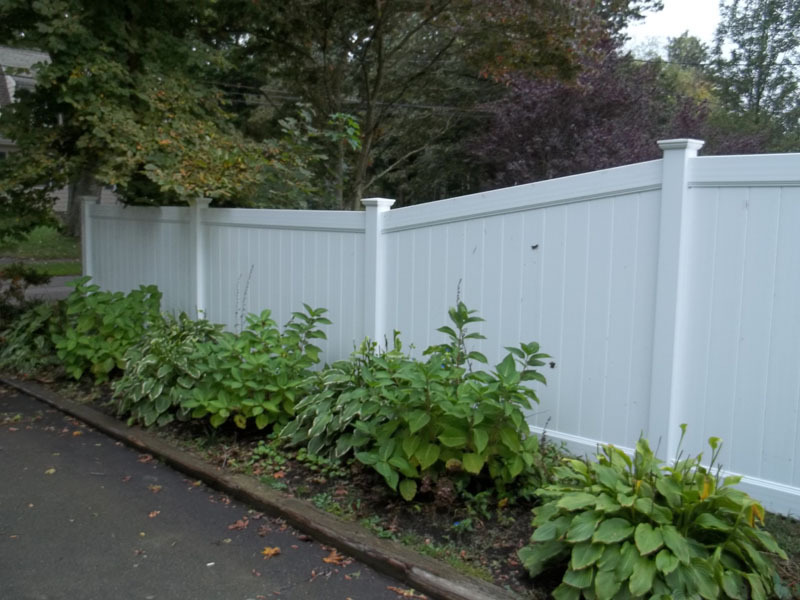 There is virtually no upkeep required with our maintenance-free vinyl fencing, providing homeowners with many years of durable and dependable service. 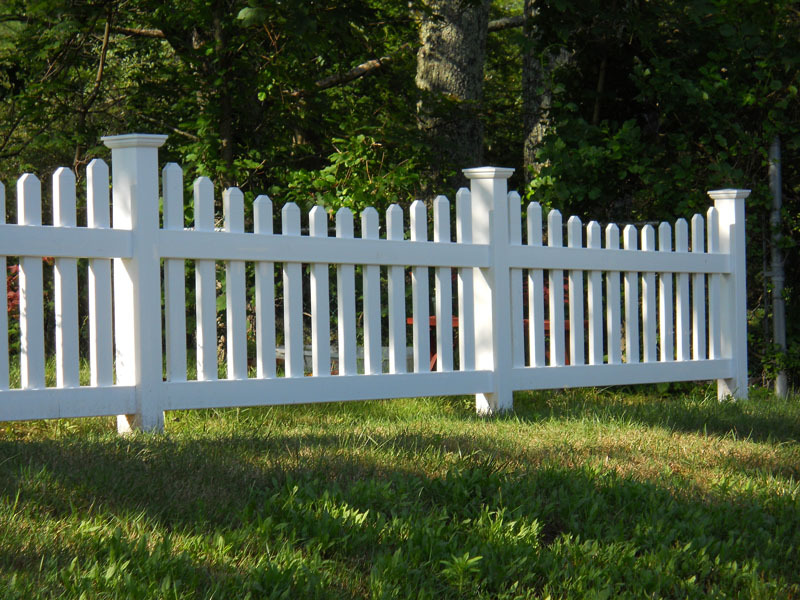 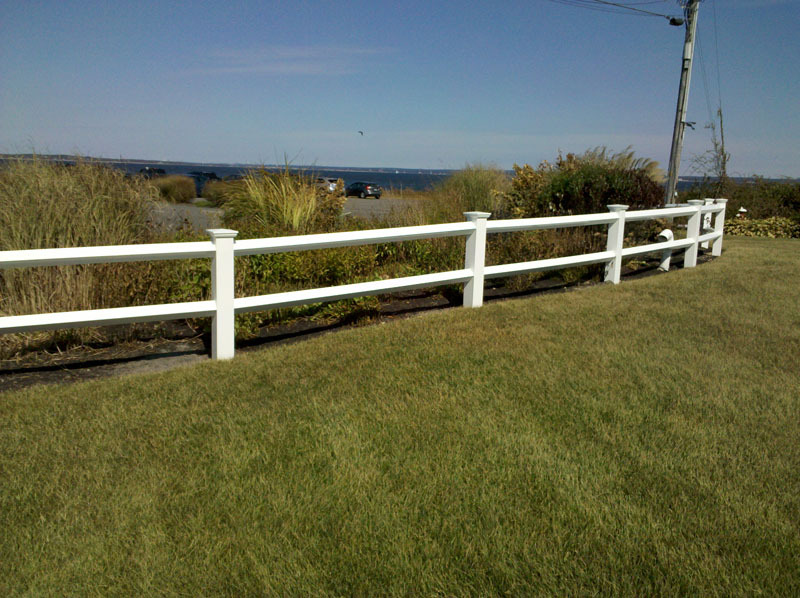 All of our custom vinyl traditional picket fencing comes with an aluminum insert in the bottom rail. 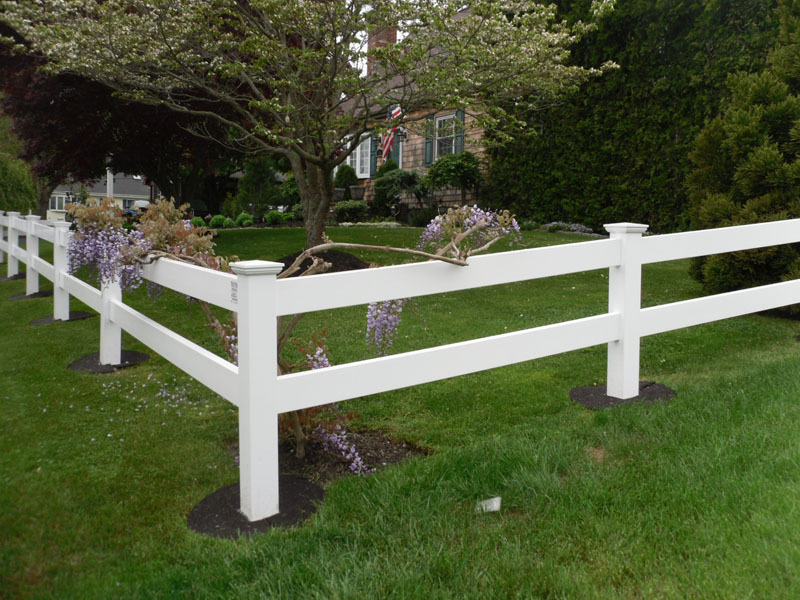 Our best solution for lining acres and acres of property is vinyl post and rail fencing. 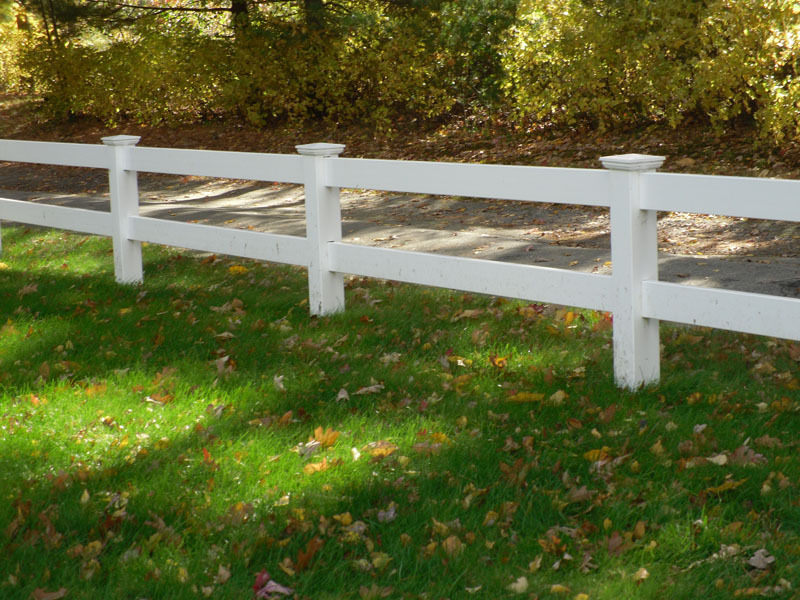 No more treating. 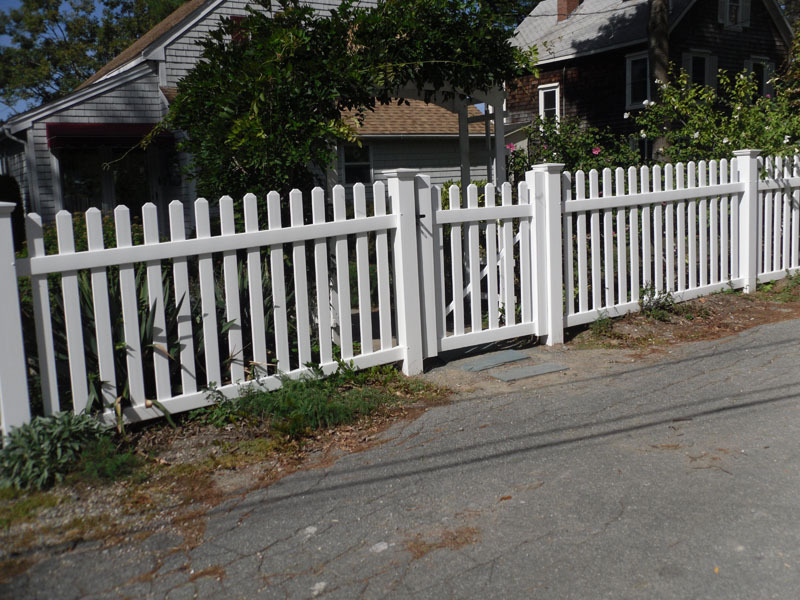 No more painting. 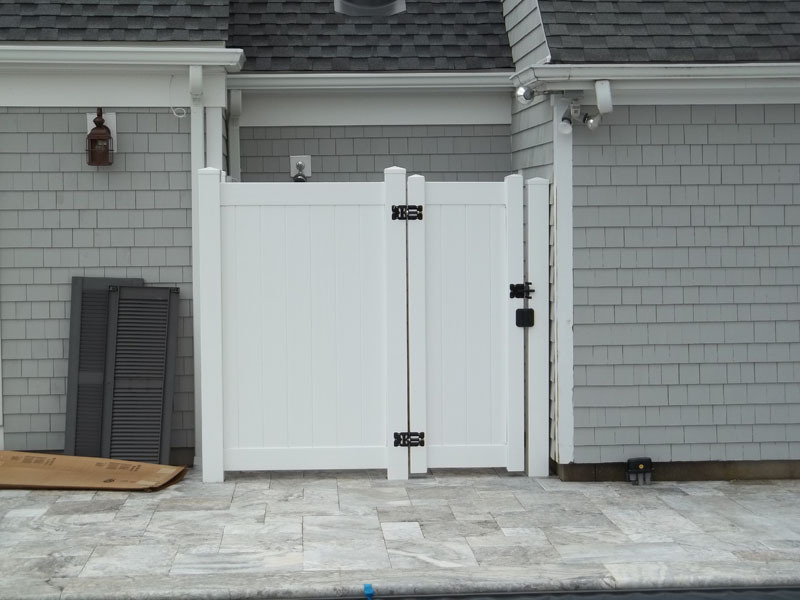 No more sealing. 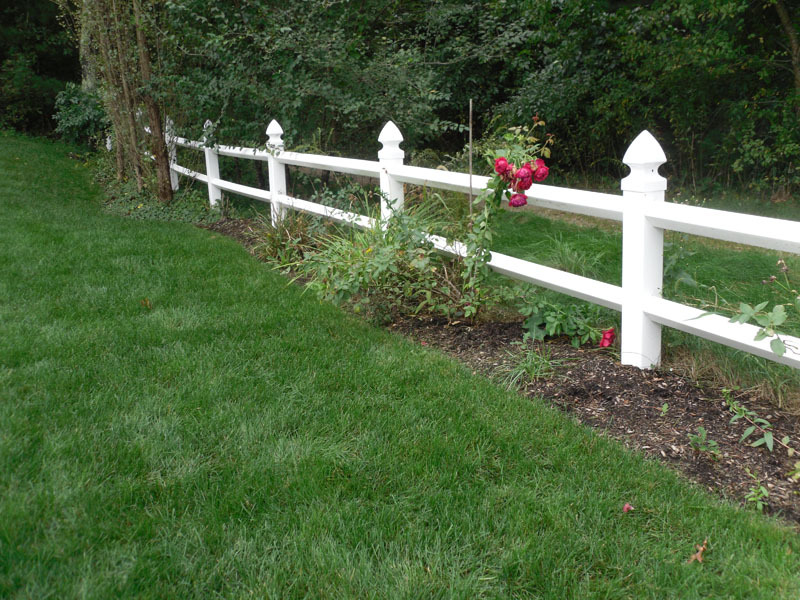 Just acres and acres of beautiful low-maintenance vinyl post and rail fencing. 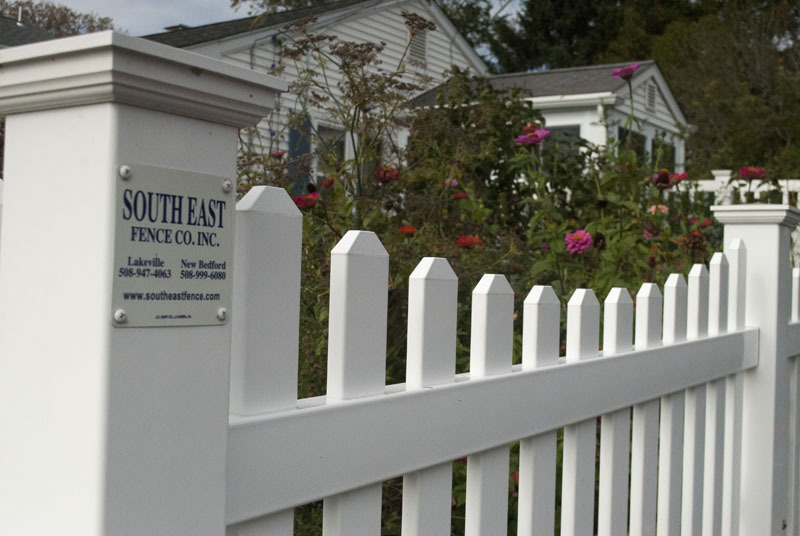 South East Fence uses advanced vinyl technology, which means that all of our vinyl post and rail fencing is built by our craftsmen using no nails, staples or screws. 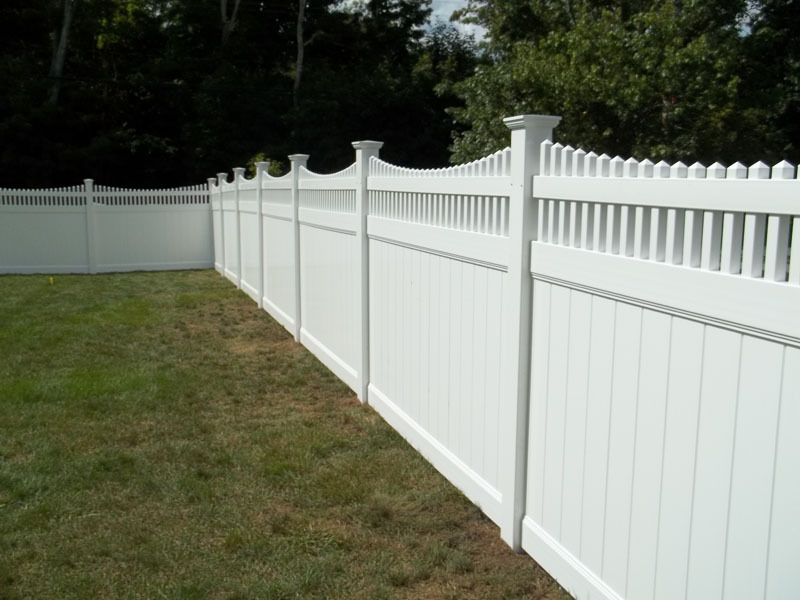 Our custom vinyl fencing will not only look great for many years to come, but it is also a sound investment that will add value to your property. 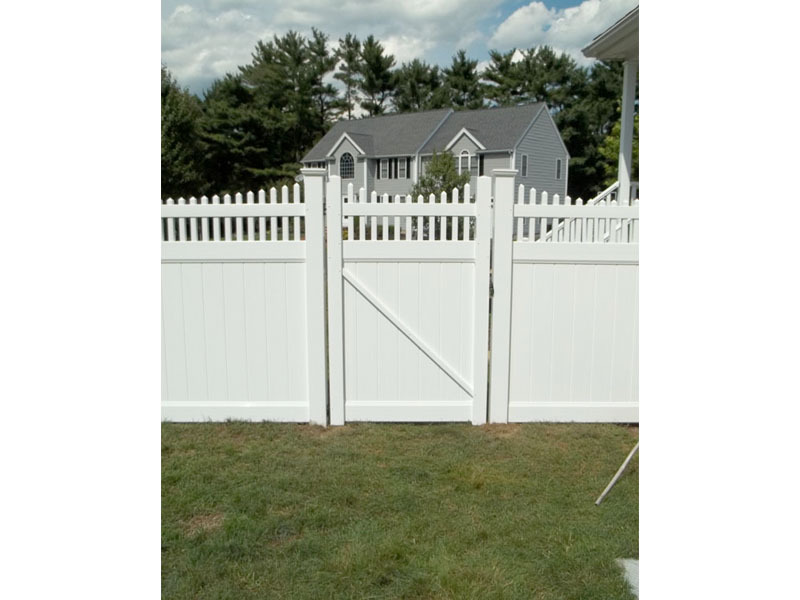 In addition to different types and styles of custom vinyl fencing, South East Fence also carries all of the accessories and extras that you will need to build a beautiful vinyl fence. 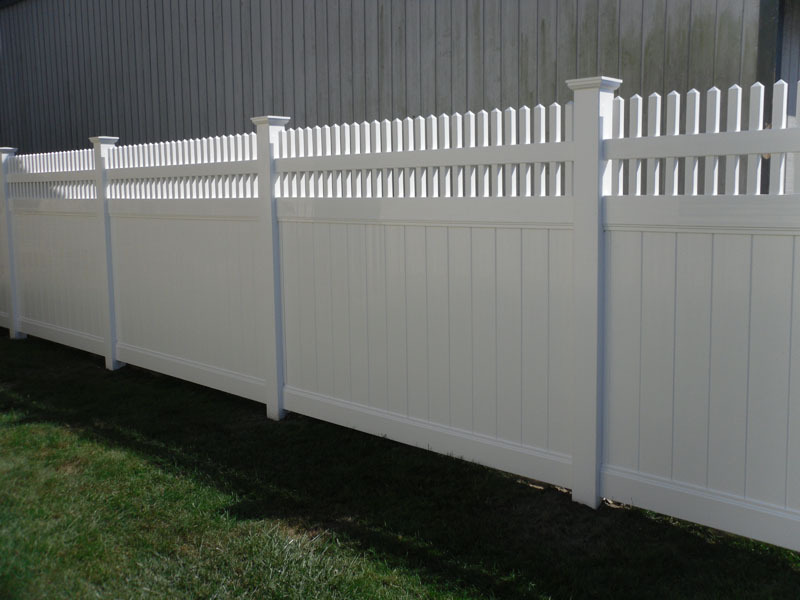 Vinyl Fence Caps – These are available in the following styles: Gothic, Flat, New England. 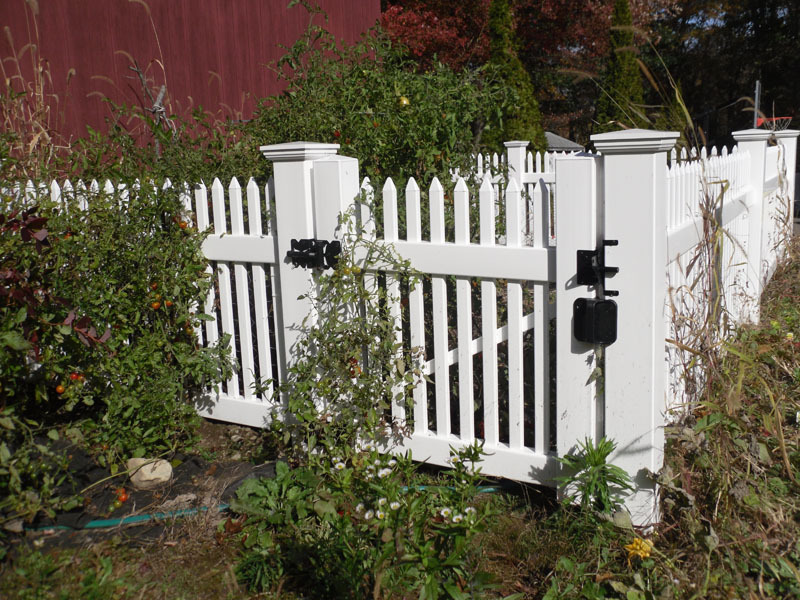 Double Gates – All of our double vinyl gates have maintenance-free vinyl on one side and tough, durable steel on the other. 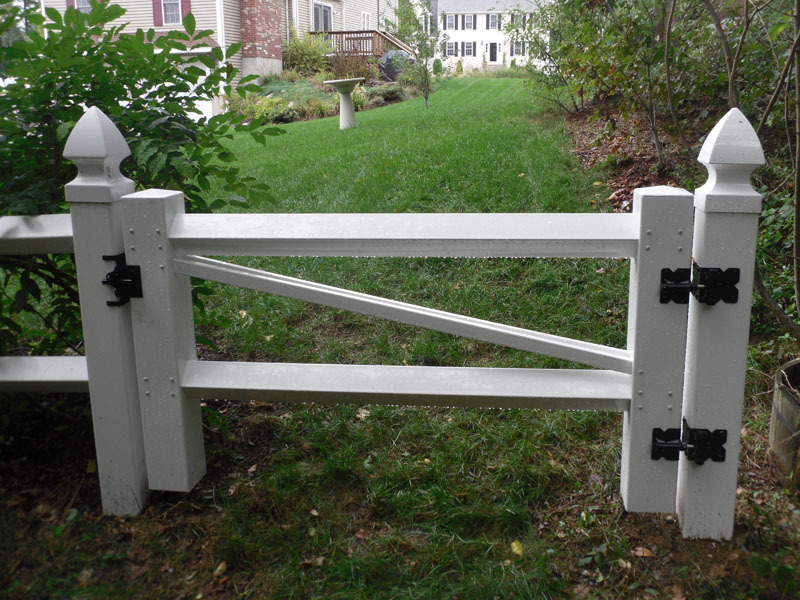 These are an excellent choice for driveway gates, estate gates, garden gates and for use with other types of residential and even commercial fencing. 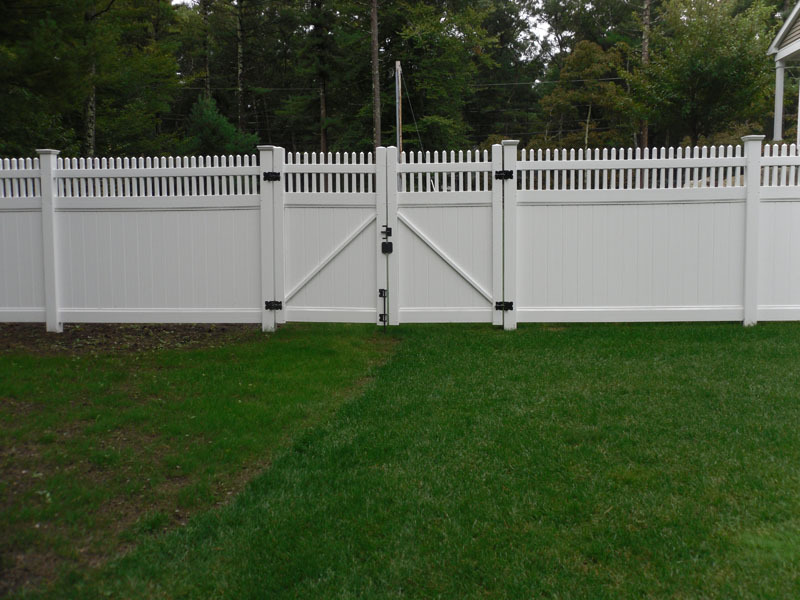 Our double gates are installed using steel posts, steel frame and can range between 5-16 feet in width to cover just about any entry or access area (only gates 8’ or larger must have steel). 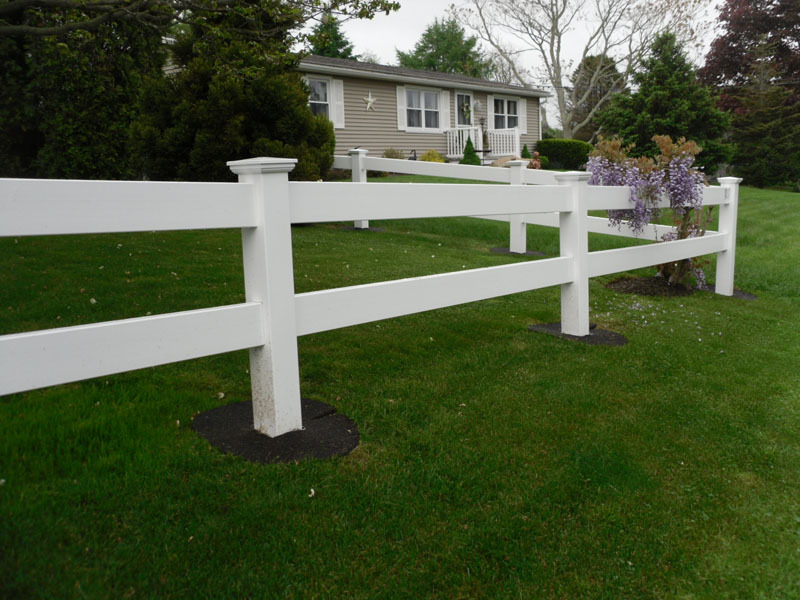 If you are considering adding some of our beautiful, long-lasting and durable maintenance-free vinyl to your property, give us a call at 508-947-4063. 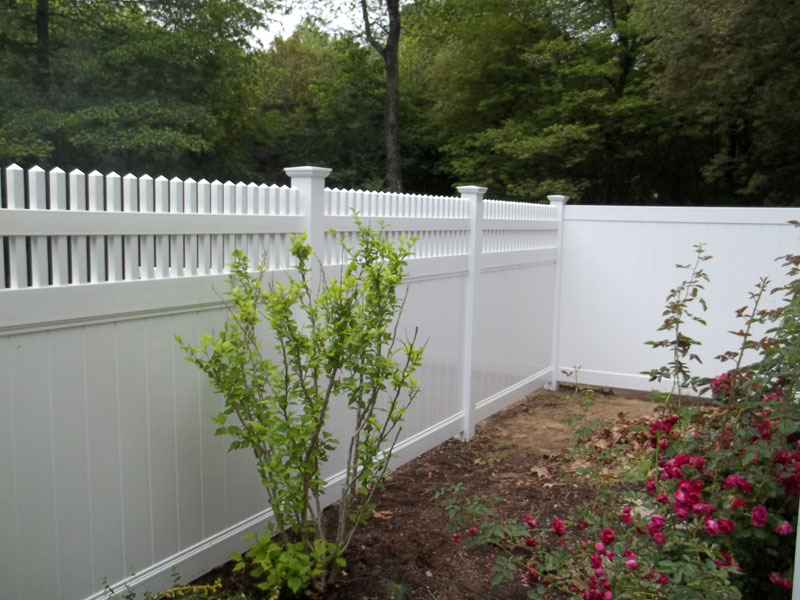 Our team can help you choose the best type of fencing for your property and situation, while giving you all of the design and style options to help you make your decision. 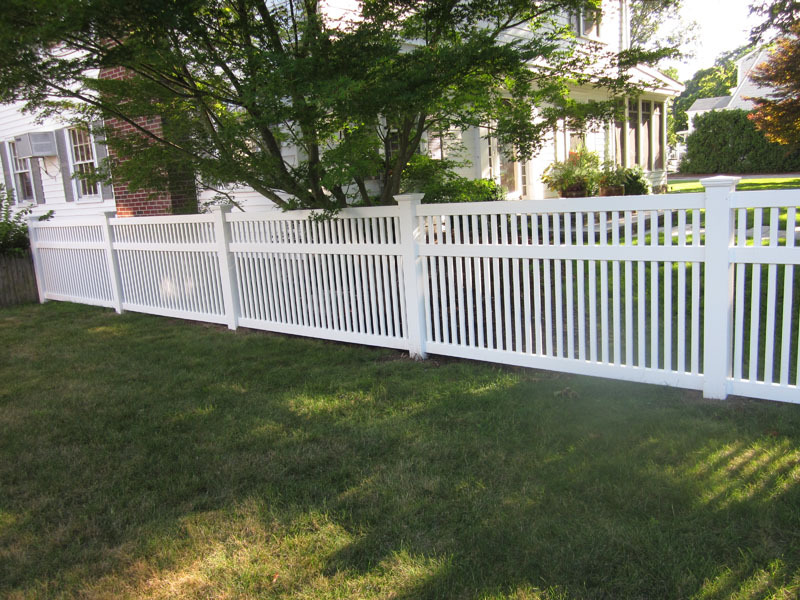 At South East Fence we stand behind our work and provide a warranty on all of our custom vinyl fencing installations.